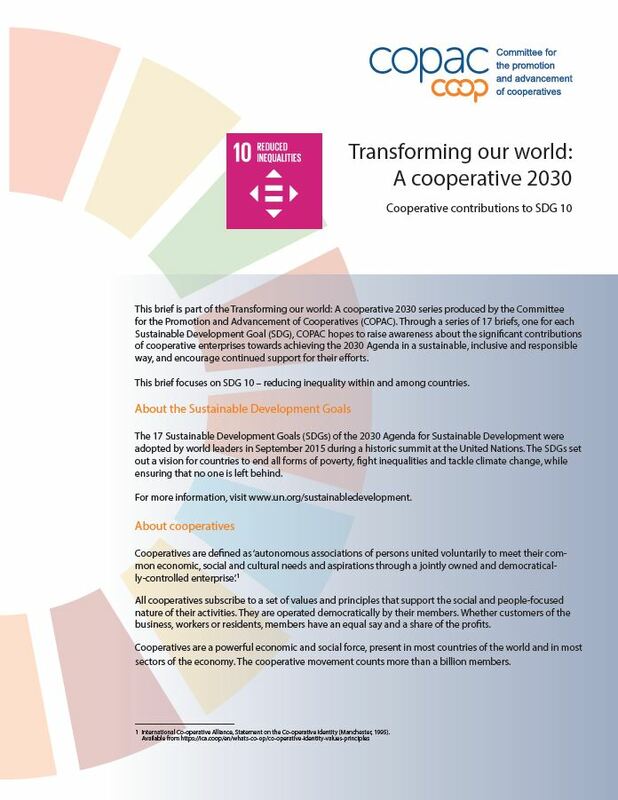 This brief is part of the Transforming our world: A cooperative 2030 series produced by the Committee for the Promotion and Advancement of Cooperatives (COPAC). Through a series of 17 briefs, one for each Sustainable Development Goal (SDG), COPAC hopes to raise awareness about the significant contributions of cooperative enterprises towards achieving the 2030 Agenda in a sustainable, inclusive and responsible way, and encourage continued support for their efforts. This brief focuses on SDG 10 – reducing inequality within and among countries.